There are many fine hotel and motel properties in the Upper Manhattan area at which you can stay while attending the HSI:URBANO Conference. 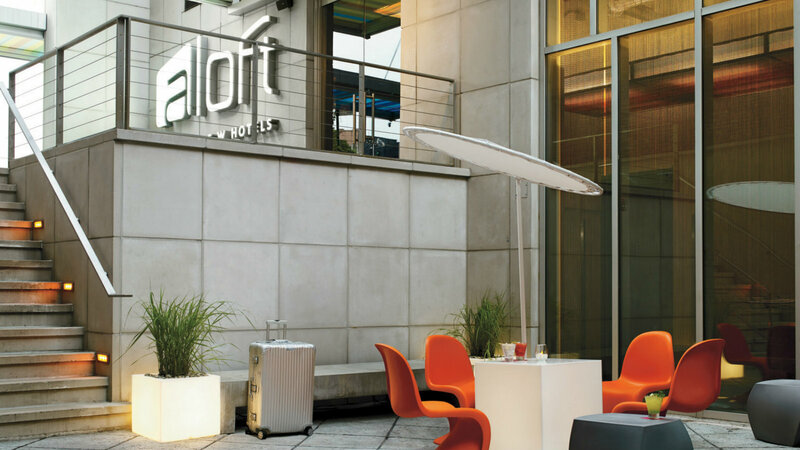 For your convenience, we have reserved a block of rooms in the Aloft Harlem Hotel. The hotel is located at the corner of 124th Street and Frederick Douglass Boulevard (officially, 2296 Frederick Douglass Boulevard, New York, NY, 10027). The hotel is roughly a 20 minutes walk from the Advanced Science Research Center on the campus of the City College of New York. 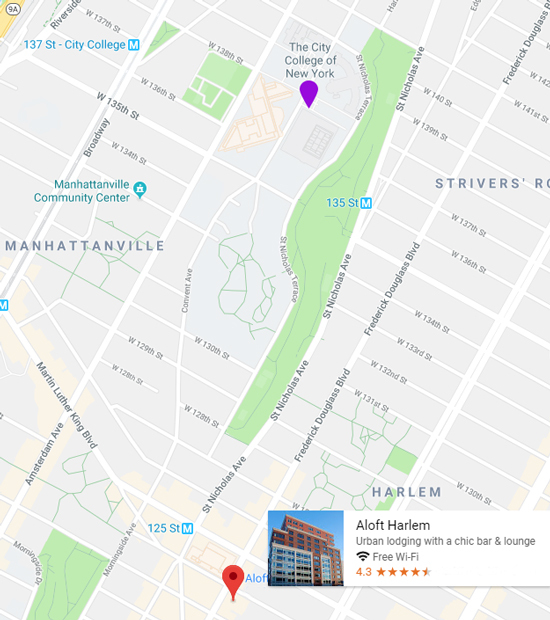 It’s also 5 minutes walk from the 125th Street Metro Station, from which you can take a B or C train north to the 135th Street Station close to the campus. If you choose, you can make reservations at any other location in the New York City area.